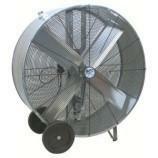 During these hot months there is nothing better than a fan that also cools you down with a cool breeze. 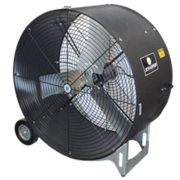 This is a must have at any shin-dig, whether it's a large commercial fan or large water cooled evaporation units, Bounce Around Austin has just the cool-stuff you need! No Chemicals! Natural Evaporative Cooling! 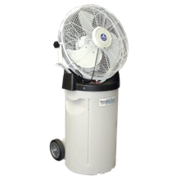 Everyone has unique cooling needs and BounceAroundAustin has just the right unit for your situation. From the robust Schafer Way Cool that delivers up to 4700 sq. ft. to our Commercial grade 42 in. portable fan. We can help keep your guests comfortable during a Texas style get together. 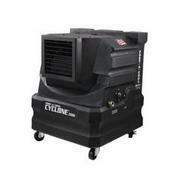 Browse the party cooling units below to just the right one for your party, or special event. Works where air-conditioning is unavailable, impractical or cost prohibitive. Lowers ambient temperatures an average of 20 degrees Fahrenheit. 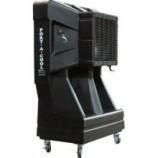 The most advanced, portable evaporative cooling system. Operates for pennies a day on tap water and 110 volts. 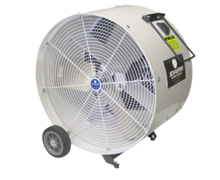 Distributes cooler air instead of just circulating the hot air. Easy to operate, easy to clean and easy to maintain. Port-A-Cool units, can affordably and effectively beat the heat. Browse the selections below and click on the image or title for more information or to make a reservation.